Trine 2: Director's cut is a puzzle platforming title that is as gorgeous as it is difficult, but is the game as enjoyable as it is beautiful? Keep reading to find out! 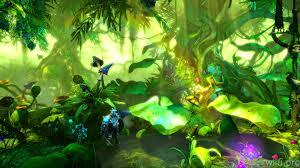 Trine 2 is a tough as nails platformer with a major emphasis on puzzle solving the game features three characters with different abilities to help you solve the puzzles in the game, but some puzzles require abilities gained from the skill tree. You gain skill points by fighting battles and leveling up. 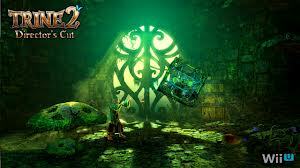 The game is long and features more than 20 lengthy levels that start off easy, but quickly become very difficult. The puzzles are not always easy to solve even with the hint system expect to get stumped alot. Even though the game can be extremely difficult it is a very fun experience so you will likely want to keep trying even if you do get stuck in the game. The story is not a major part of the game, but you basically must save the world as the three heroes chosen by an artifact known as the Trine. The button mapping is a little awkward, but is easy enough to ajust to so it's not a major issue. The game will likely take first time players over 25 hours to beat and that's not including the unlockable stages either! 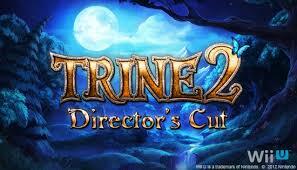 Trine 2 also features online co-op that utilizes the microphone on the Gamepad to chat with other players while playing with them online! The graphics in the game look as good as most retail Wii U games and really showcase the true power of the Wii U with lush landscapes, gorgeous creatures and characters that are both unique and detailed, as well as incredible special effects that are a sight to behold! The Medieval music in the game is exceptionally good and fits the tone of the game very well, and the sound effects and voice overs are done very well and never get annoying. With great, yet challenging gameplay, gorgeous graphics, and great medieval music the game is something we recommend to all Wii U owners though the awkward controls prevent this game from receiving a perfect score. I'm finishing up this review today. I'm looking forward to getting a chance to play through it. This game is fun, yet really difficult. The only thing that is disappointing is how few people play online in the game. 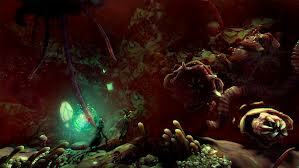 I still have not beaten Trine 2 yet. I still need to beat the Goblin stages in any event this is a good review @Rukiafan. This is such a beautiful review @Rukiafan! This game was a beast to beat no doubt the most challenging game available on the Wii U eshop. I will be downloading this sometime soon. I was not a fan of this game, but I do see the appeal. Good review. Review good so is game!